When a group is researching the site of their next Georgia gathering, Lake Blackshear Resort & Golf Club is at the top of many lists. From wedding destinations in Georgia and company retreats, to weekend family getaways and family reunions, this resort and golf course offers a breathtaking backdrop for any function—large, medium or small and intimate. You could say that Lake Blackshear Resort is a top family vacation destination thanks to their unique offerings. The combination of great staff, unique amenities and stylishly spacious facilities allows the focus to remain on having fun and enjoying the company of others. Trying to bring fresh ideas to annual functions year after year can be a task within itself. Lake Blackshear Resort & Golf Club is the perfect solution for groups at a loss for this year’s family reunion plan or company retreat concept. Unbeatable amenities, accommodations and adventure options such as Archery, Guided Hikes, Kayaking, Biking and more make planning a group Georgia vacation a breeze. Coordinating a family reunion is made easy and less costly by amazing packages and resort deals on the Lake Blackshear Resort & Golf Club website—where opportunities for lakeside and state park adventures change with the seasons. 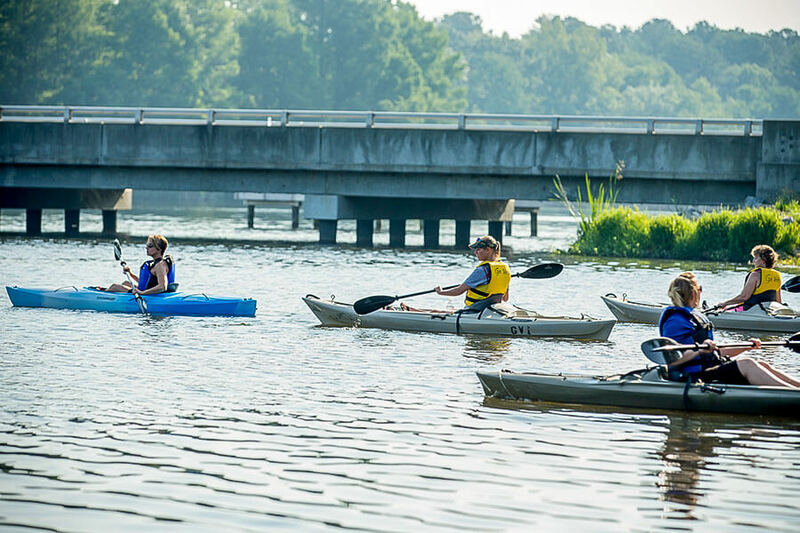 The array of area activities and the logistical benefits of time spent at the Lake Blackshear Resort enable groups to return, never having the same type of vacation twice. Between the Resort, the Golf Course and Georgia Veterans State Park, each group creates their ideal itinerary, curating a custom experience based on the interests of those attending. The support of Lake Blackshear Resort & Golf Club staff turns every reunion into a true retreat (even for the family members that take on the event organizing). We’ve perfected the execution of large scale, group experiences. Guests need only decide what activities they are interested in and show up ready to take aim, swim, bike and boat. There is even a train depot where you can board the SAM Shortline Train for a historic tour of the surrounding area. What would your family or friends from the office gravitate towards? With so many great options like golf packages and the endless adventures of Georgia Veterans State Park, this may be the most difficult decision organizers face. So, a great plan is to consult the crew before arrival; Helping people pack appropriately and load up their golf clubs if needed. Many families will not be all together again until the next reunion and want to focus on quality time spent as a group. 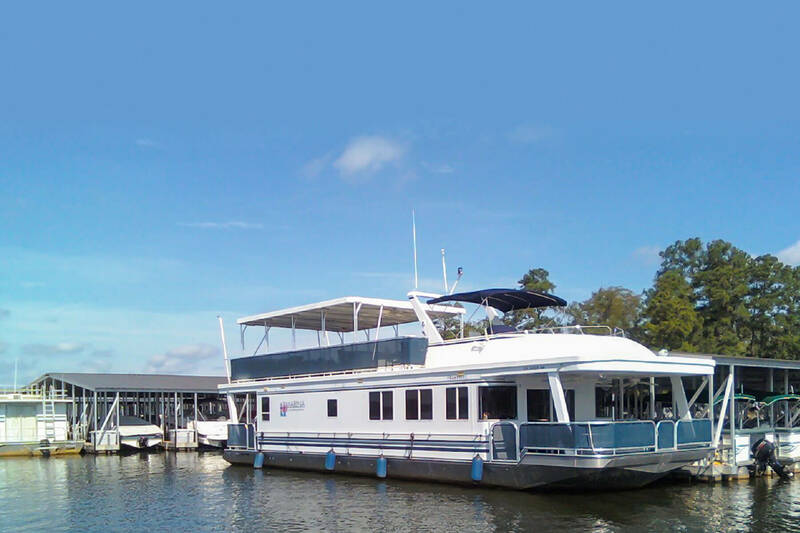 A cruise on Lady Liberty, the resort’s 45 passenger touring vessel, is the perfect setting to enjoy this beautiful lake resort while reconnecting with loved ones. Coordinators often chose to kick off their family summer vacation by creating a memory in motion aboard Lady Liberty, a pontoon boat or in a fleet of kayaks. Time spent exploring and catching up on the water provides memories that last long after the return home. Moving at the speed of life can keep us from nature, from our favorite pastimes and from making space in the schedule for time together. At Lake Blackshear Resort & Golf Club we make it easy and take pride in helping host events, weekends and vacations so memorable they last a lifetime. Groups from near and far find fun and freedom with friends and family on the banks of Lake Blackshear.